Rep. Tim Jerman (D-Essex Junction), a veteran member of the Vermont House, plans to leave the legislature at the end of this year. Jerman, 67, announced his retirement Wednesday evening at Essex Junction’s annual village meeting. 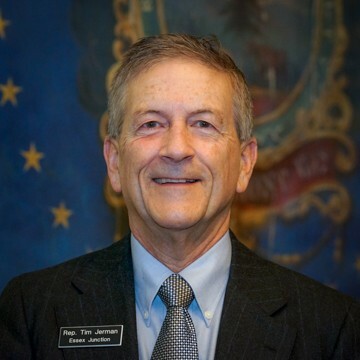 A former member of the House leadership, Jerman currently serves as vice chair of the Vermont Democratic Party. He announced last month that he would cast his superdelegate vote at the Democratic National Convention for Sen. Bernie Sanders (I-Vt.). First elected in 2004, he now serves on the House Education Committee. Jerman worked for the Vermont Student Assistance Corporation for 31 years, retiring as director of human resources. In January 2014, Jerman briefly sought a vacant seat in the Vermont Senate but later withdrew from consideration. He told Seven Days Wednesday that he would not be a candidate for one of two open Chittenden County Senate seats this fall.